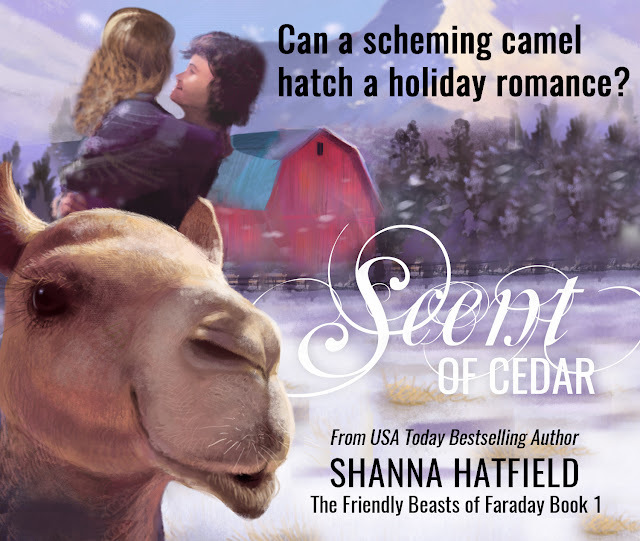 She needed a change of pace. . .No one said anything about a friendly camel or a hunky mechanicCedar Haynes has a choice: change her high-pressure lifestyle, or end up dead by the time she’s thirty. Not one to do things by half measures, she quits her demanding corporate job, swaps her sports car for an SUV, and moves to the peaceful mountain community of Faraday. She envisions a quiet, peaceful Christmas, surrounding by silence and sparkling snow. When a camel takes up residence on her porch, she realizes small-town life may be more quirky and complicated than she imagined. Thankfully, the local mechanic seems to have all the answers - plus good looks, bad-boy charm, and a mysterious aura that leaves her wanting to know more.Rhett Riggs left big city life behind the moment his small-town uncle needed his help. To make ends meet, he takes over Faraday’s one and only garage and gas station. He gets more than he bargained for, though, when Uncle Will passes away, leaving Rhett a run-down farmhouse, a wacky camel named Lolly, and a deep-rooted love for the community he considers his home. With the holidays approaching, he watches with interest as a new neighbor moves in next door. He waits for Lolly to send the woman running, like she has the last handful of residents. 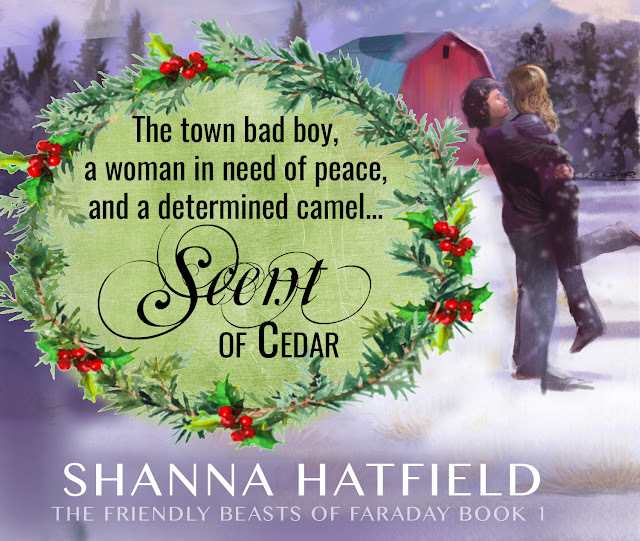 Only this time, if his beautiful neighbor leaves, she’ll take his heart with her.Between spilled secrets, mistaken identities, and a camel determined to spread a little love, it will take more than mistletoe and holiday magic to help Rhett and Cedar find their happy ending.Come along on a sweet Christmas romance adventure sure to uplift the spirit, touch the heart, and imbue the warmth of the holiday season.˃˃˃ Read all four sweet romances in The Friendly Beasts of Faraday series! 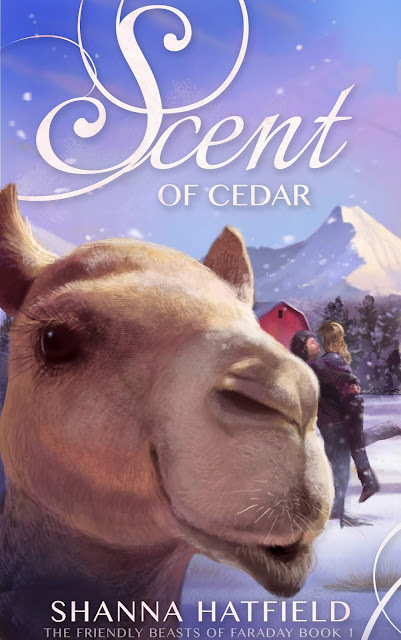 * Scent of Cedar (Book 1) - A woman in need of a new beginning finds herself tormented by a camel and captivated by the town's bad boy. Can she overcome her fears to embrace a sweet holiday romance? * Tidings of Joy (Book 2)- Only one woman can draw a shy mail carrier out of his shell, but it will take the help of her donkey and puppy to make it happen. * Boughs of Holly (Book 3)- A free-spirited nurse winds up on a ranch with a stubborn cowboy and his matchmaking grandpa. Will love triumph over her need to roam? * Wings of an Angel (Book 4) - Will a fun-loving teacher convince a woman sworn off romance to give love a second chance? He'll need a hand from her son and his furry, feathered friends. 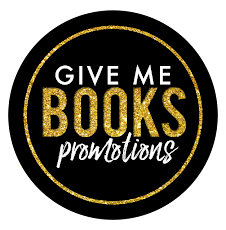 Convinced everyone deserves a happy ending, this hopeless romantic is out to make it happen one story at a time. 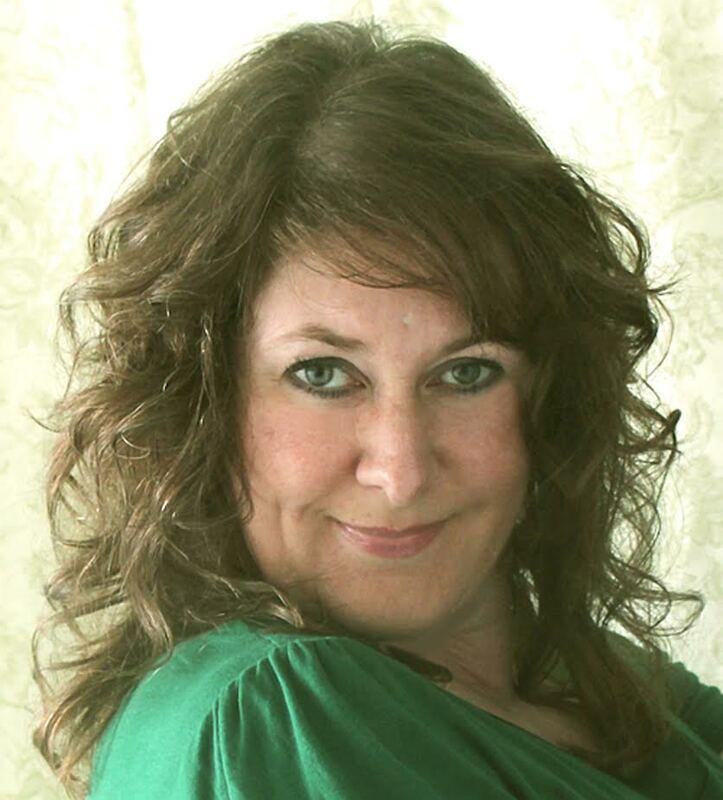 When she isn’t writing or indulging in chocolate (dark and decadent, please), Shanna hangs out with her husband, lovingly known as Captain Cavedweller.Shanna is a member of Western Writers of America, Women Writing the West, Romance Writers of America, Sweet Romance Reads, Cowboy Kisses, and Pioneer Hearts.